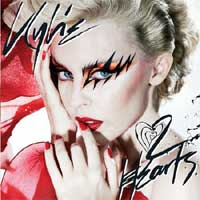 * "2 Hearts", Kylie Minogue. Does it mean anything in the "grand scheme"? Is it astoundingly complex? Will it alter the musical landscape as we know it forever and ever? Does her singing revolutionize that which can be achieved with vocal chords? Absolutely not. It's just two minutes & fifty one seconds of pure, unadulterated pop music perfection. * "The Cheapest Key", Kathleen Edwards. As far as I'm concerned, there just isn't much real rock and roll left. What is real rock and roll? Cue up this tune pronto. Kathleen can write a kiss-off to an ex-lover better than anyone in the biz and this one is a mighty aggressive kiss-off ("f is my favorite letter as you know"). It's two-and-a-half minutes, verse-chorus-verse-chorus-bridge-chorus-done. It kicks a-- but doesn't outstay its welcome. The bridge is beautiful in that it plays the music off the words. "Don't write me off," she sings, "here comes my softer side." And then a lovely, little piano fill followed by, "And there it goes. 'Cuz I been on the road to long to sympathize." The piano cuing the exit of of said softer side. Perhaps rock and roll is dying, perhaps not. But it's still alive. This is proof. 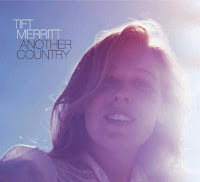 * "Another Country", Tift Merritt. A beautiful ballad that might get categorized as alternative-country and not plain country since, make no mistake (none! ), this is not some god-forsaken Faith Hill power ballad crap-fest. Which is why categorizing it at all is totally unfair. It's just a ballad. A beautiful, aching ballad. (Aching? Did I really use that window-dressing word? Yes. I did. Listen to it. It aches. What do you want from me?) You can practically see the angels with their harps up in the big sky beyond doing whatever it is they do and hearing her sing this song below and saying to one another, "Wow. Do you hear that? It's kinda' good, isn't it?" It's the be-all, end-all defintion of a ballad. Okay? Better yet, buy the actual album, read Tift's liner notes and then listen to it. Oh, dear God, your heart won't just break, it will shatter. * "Crying", TV on the Radio. Their last album "Return to Cookie Mountain" had some moments that left me cold and some possessing brilliance so immense I still don't feel I fully comprehend it. Their new album "Dear Science" was, to my ears, more consistent, and this track was the one that really smacked me in the face with a musical frying pan. I don't really know what constitutes a dance track, I suppose, but, screw it, this is a dance track. (Never mind the lyrics. You'll get to those on the 67th listen.) It's a track that makes me (want to) dance. This is the dance track supreme. It's the Westminster Abby of dance tracks. It's the funky molasses. If I owned a club I would play songs just like this one. And no one would come. Which would be fine with me. 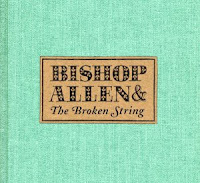 * "Click, Click, Click, Click", Bishop Allen. How is this song not on the charts? How is it I'm not walking down the street and hearing people hum it? How is the song not in a Kodak commercial? (I'm actually thankful it's not but, really, I'm also stunned.) How is it more bands don't take advantage of the glockenspiel? How is it this song has not become the new "Hey Ya'"? How is it they're not selling out Madison Square Garden? 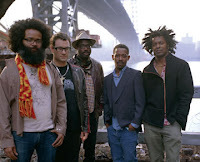 How is it we've not already entered the re-hype after the backlash after the inital-hype stage with this band? How is it we haven't set aside a copy of this album in a vault in the Smithsonian so we can make sure to have it when the aliens finally come and ask us about "music"? How is it....okay, I'll stop now. * "Slow Show", The National. One word often used to describe a couple of my favorite musical acts (people who hail, respectively, from New Jersey and Canada) is Cinematic. Well, if you want to use one word to sum up this song I think Cinematic would be appropriate. It's so cinematic, in fact, it was used over the trailer for the David Gordon Green film "Snow Angels". The sound is totally in widescreen but it's more Sofia Coppola than Francis Ford - intimacy in a vast setting, a climax that takes it up a notch in a more subdued manner. 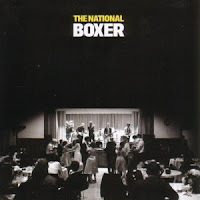 And the lyrics, to which I can relate, of Matt Berninger about an awkward young man in a social situation from which he desperately wants to flee - "Can I get a minute of not being nervous?" - so he can get back home to find comfort and a reprive from anxiety with the woman he loves where in one of the most romantic conclusions to a piece of music these ears have ever heard he intones over and over "You know I dreamed about you for twenty-nine years before I saw you." 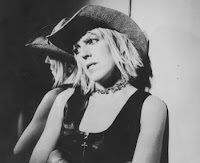 * Little Rock Star, Lucinda Williams. We should establish - though I've established it before - that I'm a Lucinda Williams fan. A big one. Long ago I drank the Lucinda kool-aid. She could release an album where she does nothing more than sneeze and cough and I would probably wind up arguing with people about how its intellectual mastery is above all our heads. Every album she's made is fantastic but I think every Lucinda fan (just like every Bruce fan or probably every Beatles fan) has one album they cherish above all the others. Me? I'm a "Car Wheels On A Gravel Road" man through and through and through and my favorite song is track #3, "2 Kool 2 Be 4Gotten". And while there have been plenty of Lucinda tunes I've enjoyed since I had not one found that had simply sounded as beautiful as "2 Kool 2 Be 4Gotten". Until now. During my first listen of "Little Rock Star", as the guitar solo ended, I was so wound up, so overcome, so stricken with joy, I wanted to hurl my entire body through the nearest sheet of drywall. Oh, Lucinda, whatever would I do in this melancholy world without you? * "Jack Killed Mom", Jenny Lewis. There are so many great songs off her new album, like "Black Sand", where her voice is so luminescent that if you actually look at your speakers while it's playing you will see them glow, and like "Sing A Song For Them", which is the sort of thing that should be served up at churches all across the country, but it's "Jack Killed Mom" that really tears the roof off the sucker. A rock 'n roll hoedown about, well, a tortured mother/son relationship that with its serious infusion of gospel comes across as a Bible story gone terribly wrong. Or, to say it another way, it's the wicked step-sister to "The Seeger Sessions". 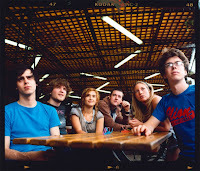 * Dying Is Fine, Ra Ra Riot. There is no question - absolutely none - that if I were about to, shall we say, expire from this earth and could hear only one song from 2008 before said expiration I would cry out for "Dying Is Fine". (And their leave-you-srawled-on-the-floor, the-world-suddenly-has-meaning "Ghost Under Rocks" is nearly as good.) Now, let me clarify, there is a version of this song on their debut LP "The Rhumb Line", and it's quite good, but that's not the version to which I'm referring. No, the version I'm naming as my #1 song of the year comes via their self-titled EP (the production is not as good on the EP but that fact is meaningless), which is about three minutes longer. Why were they afraid of the length? Who knows? Perhaps to make it more "radio-friendly" but then how is a song this marvelous ever going to get past the snipers employed by radio stations to ensure quality songs never get on the airwaves? If you're looking for the neat & tidy description of the song I suppose I could say it's "The Wild, The Innocent, and The E Street Shuffle" Springsteen meets The Arcade Fire meets "You Can't Always Get What You Want" meets "London Calling" but no, no, no, no, that just won't do. It's the Pacific Ocean at dusk with just the right amount of coldness in the air, the tide rolling in, then rolling back out, then rolling back in BIGGER, then rolling back out, then rolling back in BIGGER, then rolling back out, and then the woman you love comes up behind you and snuggles with you and the tide rolls back in and maybe it's even BIGGER - it probably is - but you don't really know because you're more concerned with this beautiful woman snuggling with you. Does that even make sense? I don't know. It would if you'd heard this song. And, of course, I haven't even mentioned Rebecca Zeller's violin at the end (wait, I guess I have) which was, to me, the single most beautiful artistic moment of all 2008. After all, it's rare to hear the sound of your own heartbeat on someone else's CD. Oh, dear God, I'm digressing to mammoth proportions. I can't help myself. Look, it's my humble opinion that this song is as good as music can possibly get.